At SCIS workshops a popular topic of discussion is e-books in school libraries. This blog post provides an update on what SCIS is doing about e-books. What e-books will I find in SCIS? SCIS catalogues e-books from a number of publishers and vendors. In most cases schools are unable to send e-books to their SCIS cataloguing agency (due to digital rights and access restrictions) so we are reliant on publishers and e-book system providers for the access that allows us to catalogue e-books. Note that as titles may be available from more than one e-book supplier SCIS is in the process of changing its cataloguing standards to favour provision of provider-neutral e-book records that do not link to a specific supplier. SCIS catalogues Project Gutenberg and public domain e-book material on request from schools if they are seen to be relevant to curriculum or literature programs across a range of schools. Search the SCIS Catalogue for Project Gutenberg e-books [login required]. What if I can’t find an e-book record in SCIS? We are keen to ensure that the e-book resources schools are acquiring are catalogued promptly. Contact your SCIS cataloguing agency with details of the resource you have purchased and we will investigate how to access this in order to catalogue it. Posted on November 8, 2012 November 8, 2012 Author mjongenscisCategories Cataloguing, ResourcesTags ebooksLeave a comment on What about e-books? You can now read the latest issue of Connections online. Copies have been mailed to all Australian schools. There are articles of interest for everyone involved in school library activities. Dr Grette Toner outlines the structure, implications and opportunities for teacher librarians of the Australian Curriculum. As well as new content, the curriculum will involve new skills and new tools. 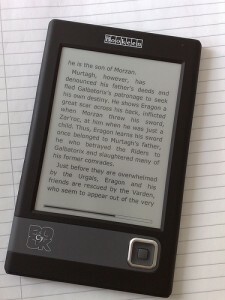 Kerrie Smith traces the rise in interest and use of e-readers in Australia during 2010 and discusses the issues facing school libraries considering adoption of e-book technology. She explains what is currently available and lists criteria for consideration before purchasing a device. Katrina Reynen describes a Victorian Department of Education and Early Childhood Development digital teaching and learning resources project. FUSE (Find Use Share Education) is a portal of 30,000 pieces of content from a number of partners. She outlines policy challenges addressed, as well as research undertaken into patterns of student use of FUSE. Emily Pyers points out how a blog can be used as an effective tool to communicate the library’s activities and the value of its resources to staff, students and parents. The fourth instalment of Nigel Paull’s account of a new BER library looks at the challenges for users during operations from a temporary library. Digital media and libraries of the future? Boston Globe, by David Abel. A private preparatory school in New England has done away with it’s collection of more than 200,000 printed books in one of its campus libraries, in order to implement a digital learning centre (ie. library) that contains no printed material whatsoever. Scary? Just a little. The way of the future? Maybe not yet..
Discusses the pros and cons of e-textbooks, and whether they’re really set to replace the printed text. The Arizona State University is participating in a e-textbook experiment supported by Amazon, using the Kindle e-book reader, and the results to date have been mixed. CNN, by John D. Sutter. A fairly general article about different initiatives being undertaken by public libraries in the U.S., and how the role of the library (and the librarian!) is changing in the face of new technologies. Hardly exhaustive, but it’s an interesting starting point for discussions about digital medias in the library. 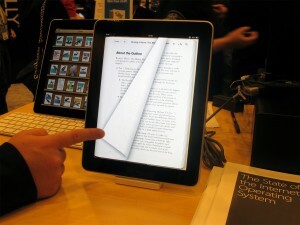 The image of the ebook reader above is from Flickr creative commons. Posted on September 14, 2009 June 28, 2013 Author scisCategories ResourcesTags ebooksLeave a comment on Digital media and libraries of the future?